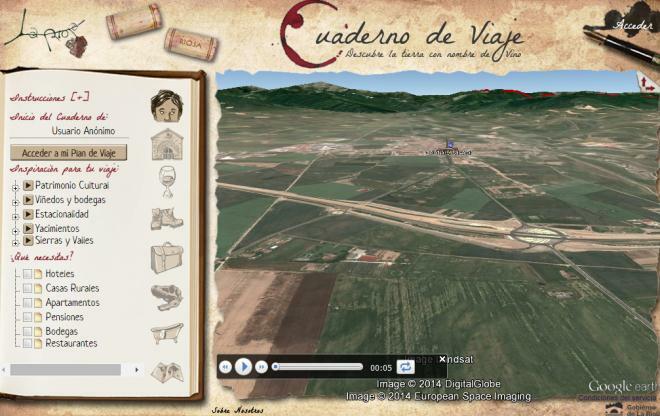 In this travelogue application, you can explore La Rioja in an interactive manner. Flying over the map of the community you have the opportunity to discover all the routes and places to visit. The routes you can enjoy fall are part of the offer in culture, heritage, wine, cuisine, nature, conferences, dinosaurs and hydrotherapy. Visit this travelogue and choose your favourite route in La Rioja.